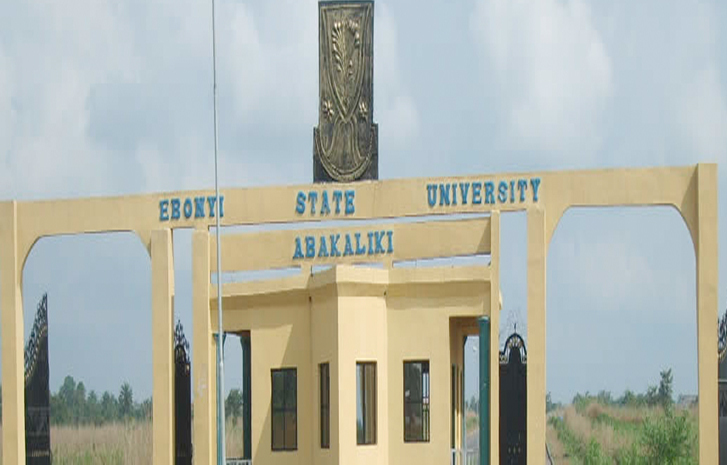 The authorities of Ebonyi state university (EBSU) on Thursday said it has sacked about sixty-three lecturers for different offences. According to the Nations News, the offences include alleged certificate forgeries, sexual harassment and extortion. The Public Relations Officer of the institution, Patrick Itumo made this known to journalist. He said that some of the sacked lecturers were adjunct lectures of the institution who have over stayed in the university. According to the Nation, some of the lecturers were said to have falsified their age certificates and other relevant credentials. “They are not over 300 as being speculated. As I speak to you, they are 63 in number that has been disengaged. “There is this audit report that was brought out from where this people were disengaged, 63 of them. Some of them have age discrepancies in their records. Some people obtained doubtful first school leaving certificates, some obtained their WAEC before their first leaving certificates. “There are people who should have retired at the age of 65 or 70 years but they are still in service and also, some adjunct professors who came from various places whose contracts have been reviewed up to five times. As of now, nobody among them has been reinstated,” he said. The spokesman encouraged students who have suffered sexual harassment to come up with a report to the management for prompt action.